Hello, everyone. My name is Janette, and I have been writing a lifestyle blog called The 2 Seasons with my daughter Jordan for three years. 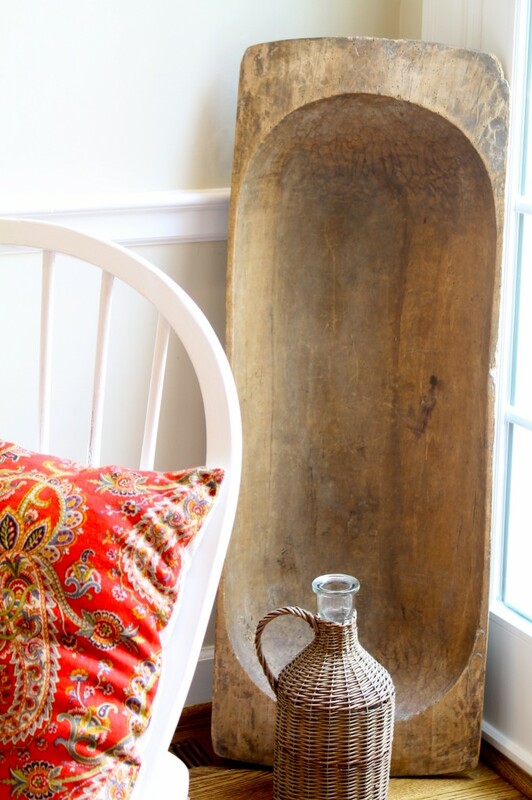 I am thrilled to be sharing my favorite room with you today here at Savvy Southern Style. Kim's blog was one of the first blogs I ever read when I discovered there was such a thing as lifestyle blogs. I loved it then, and I love it even more now. I actually stop by for a visit, an update, or inspiration several times a day. Jordan shared her favorite room with you a few weeks ago, and I am sharing mine with you today. 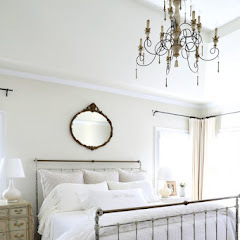 I must admit that I wrote two posts for Kim because I have two favorite rooms. It's kind of like my children. I don't have a favorite because I love them equally. My two favorite rooms are the kitchen and the guest room, but after some thought, I decided to share the kitchen with you today. You might have seen it before when it was the most viewed posts for one of Kim's Wow Us Wednesday parties. I've made a lot of tweaks and mini-updates since then, so please take another look. 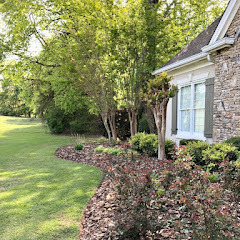 Three years ago we moved from the family home in the suburbs to a townhouse in downtown Lexington, KY. We are empty-nesters who travel a lot, and we wanted a place that had less square footage and little to no maintenance outside. We still have plenty of space at 3,000 square feet. We completely gutted the place and remodeled it to fit our needs and tastes. 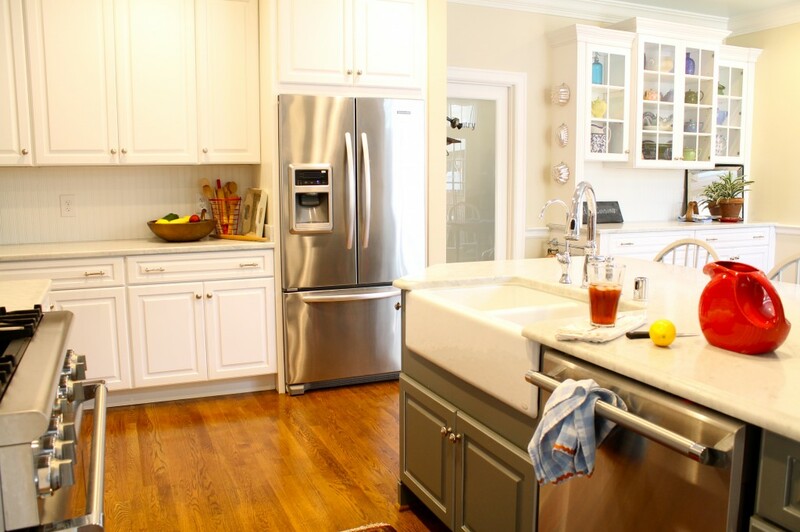 The kitchen was one of my favorite projects. The room was very dark and had no personality before we remodeled. It measures 14 by 20 feet and has a lot of doorways. The one on the right goes into our hallway, and pocket door that is hidden in the wall will easily close it off. The wall color is stucco by Sherwin Williams, and the ceiling is a soft blue called iceberg, also by Sherwin Williams. The opening there on the left didn't exist until we came along. Since there are just two of us now, I wanted the wall removed so that I could talk to Mr. Right who usually watches the news in the adjoining great room while I am cooking dinner. The large doorway also brings a lot of light into the kitchen. We have an antique wooden screen that I put in front of the opening when we are entertaining guests at the great room table. I recently bought those stools on Craigslist and painted them. The only thing I hated giving up when we moved from the suburbs was my six burner gas stove. The reality is that with just the two of us, we could probably get by with a hot plate, but I did manage to get my dream stove with just two less burners. 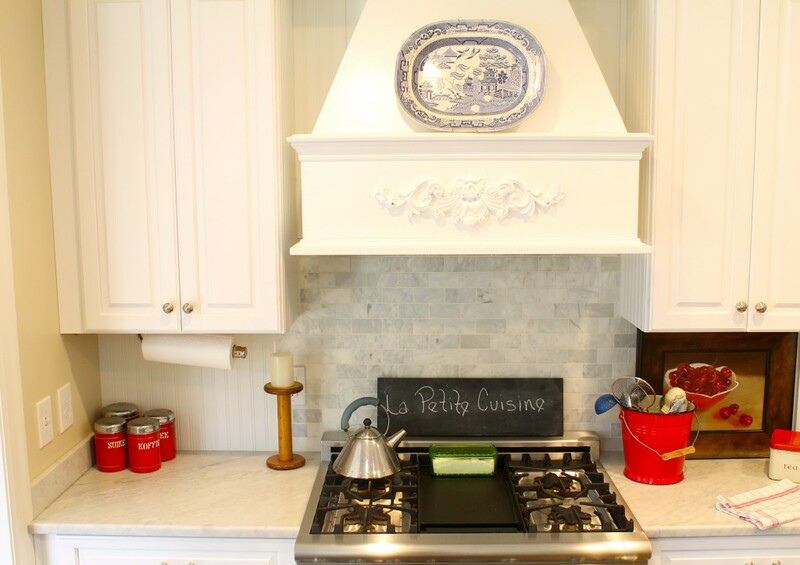 We have wooden beadboard as a back splash throughout the kitchen but small honed marble tiles behind the stove. I bought the blue and white transferware plate at an auction, the red cannisters while bicycling in Holland, and I painted the bowl of cherries oil painting. I love touches of red in the kitchen. One of the features of the peninsula that we really like is the extra storage on one side of it. 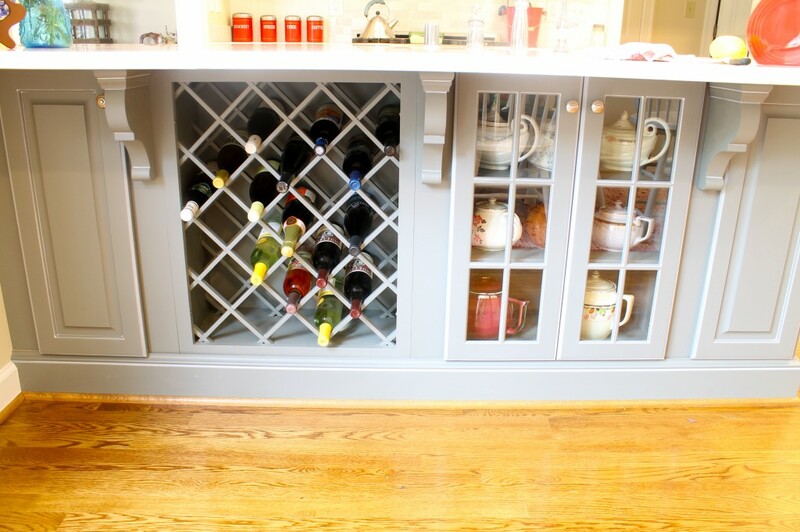 We love the wine rack, and the glass cabinet houses some of my Hall teapot collection. The peninsula also has these great shelves for some of my cookbooks. 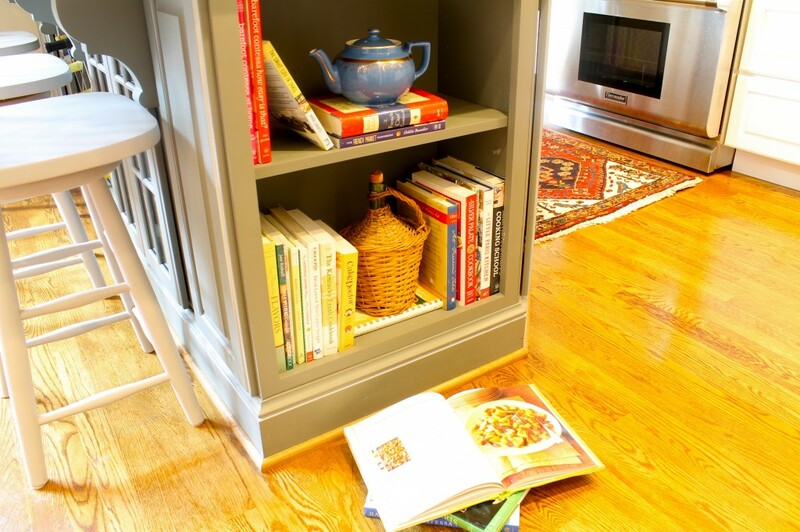 When I need a recipe, I just plop down on the floor, and search away. By the way, our floors are not yellow like they are appearing in this shot. The finish is a nice brown called provincial. This room is really hard to photograph because of all of the light sources, and I don't have the photo skills to deal with it correctly. 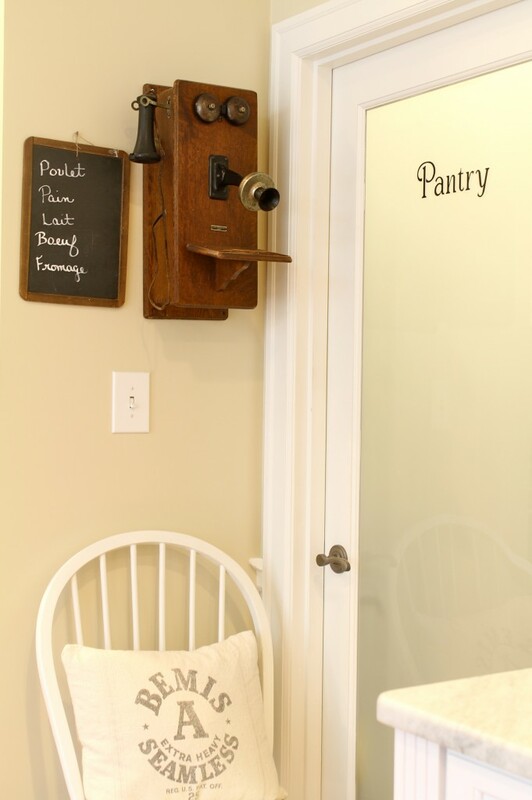 Even though I love it, the one thing I would do differently if I were remodeling our kitchen today is to pass on installing this built-in hutch. 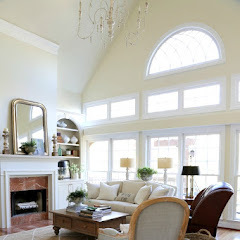 Today I would place a big and old armoire in that space. I don't like the idea that this piece is permanent. It stifles my creativity because I can't move it around. This is the view of the room looking in from our great room. You can see the farmhouse sink there. We have honed Carrara marble throughout the kitchen. I thought long and hard before selecting such a high-maintenance material, but it's working out fine. Now, let's take a look as some of the accessories around the room. 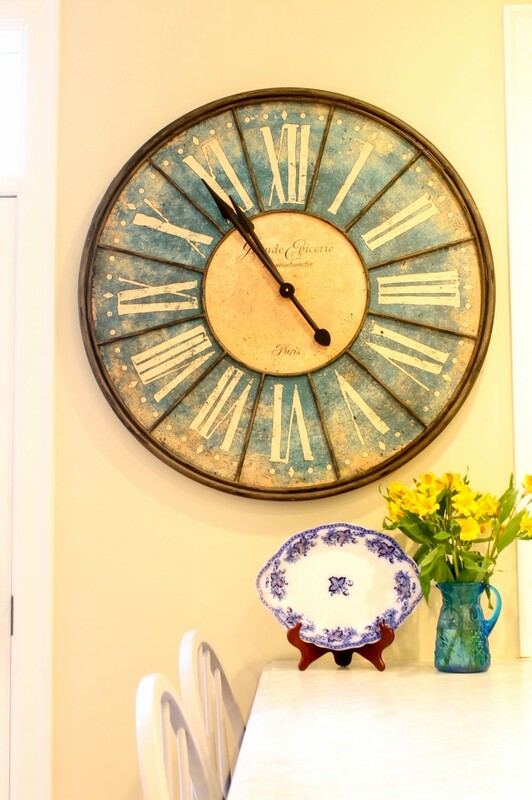 I wanted a something big and bold for this small wall at the end of the peninsula and found this clock. Unfortunately, it has stopped working, and will have to come down. Don't worry, though. I have a plan B in progress. The flow blue platter is the same pattern as some of the dishes my grandmother owned. I recently found this red egg basket at a farm supply store and created a great centerpiece with it. Now it is holding some of my wooden kitchen utensils I bought in France. 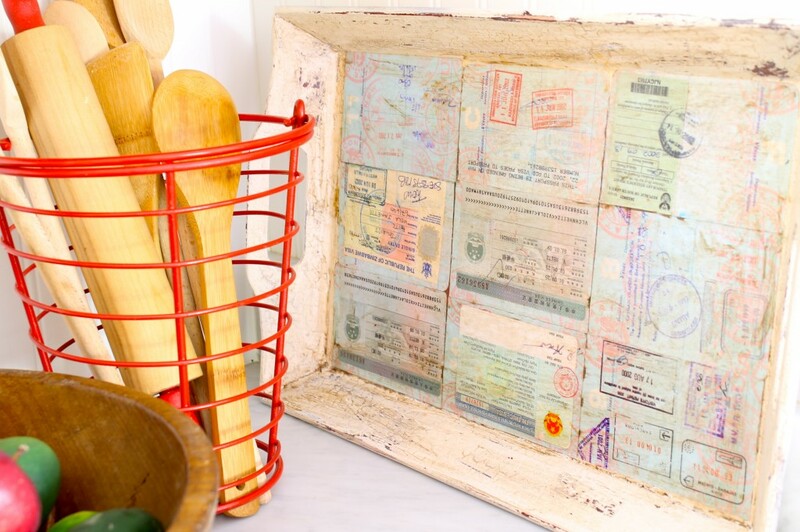 I used pages of old passports to upgrade this wooden tray. My 87 year-old mother is quite creative, and she painted this bread box for me using a mailbox. Isn't it cute. There are certain things in our kitchen that I won't remove, and this is one of them. It will always be on the kitchen counter. 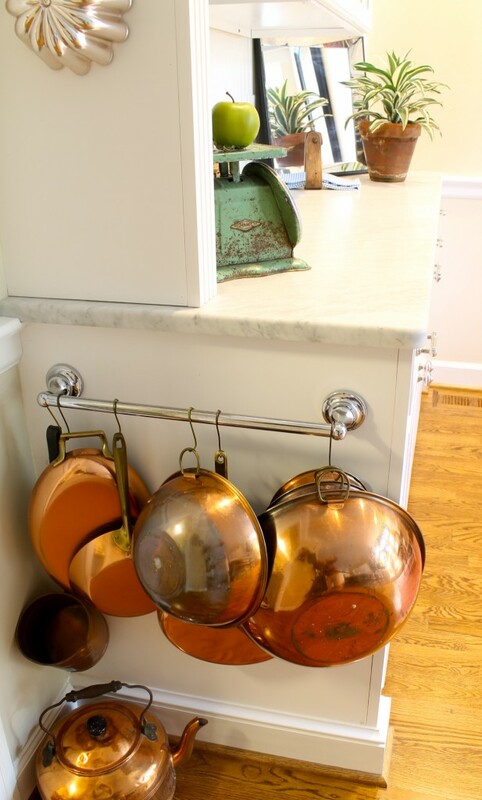 I love mixed metals in the kitchen and have our copper pans hanging on the built-in hutch. 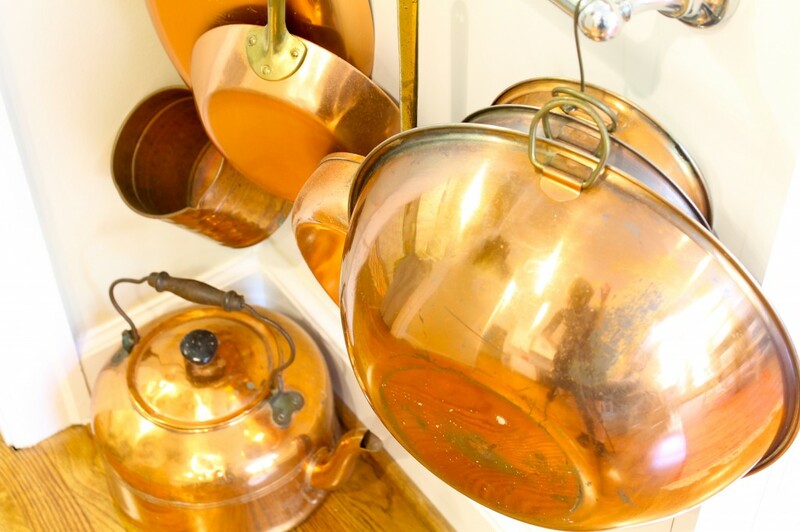 They aren't fine copper, and I use them all of the time, so they have a lot of patina. I have been inspired by Kim to change things around the house to get a new look. 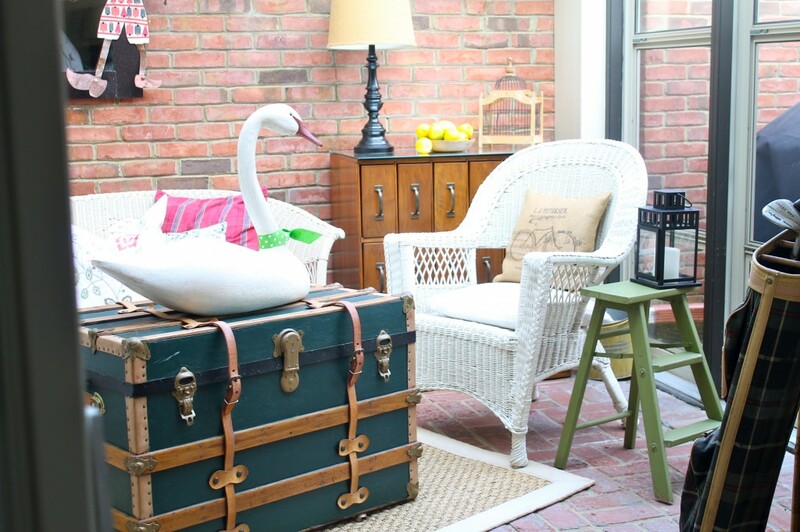 These vignettes are constantly on the move. Things might look completely different next week. 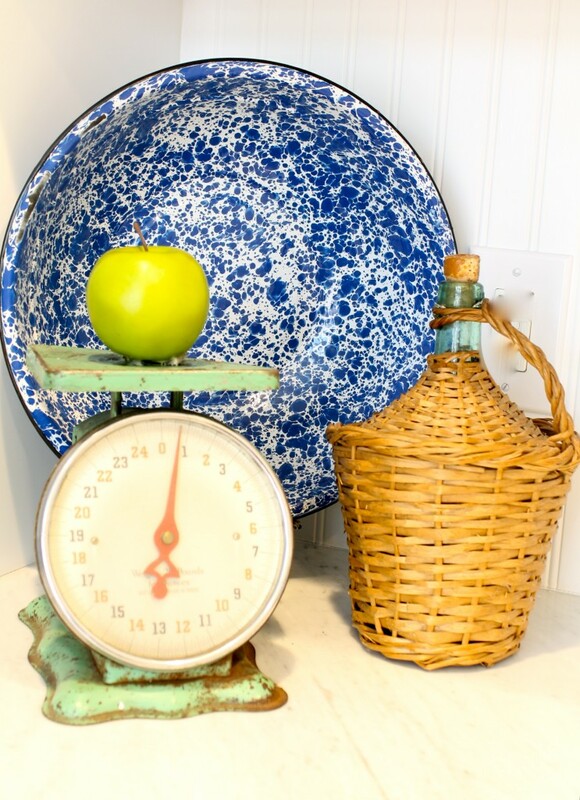 I have had this scales for years, and I bought the demijohn at a flea market in a small French town. This dough bowl was an impulse purchase, and it is huge. I joke that it is my row boat. If we ever have a flood, all I need is an oar. 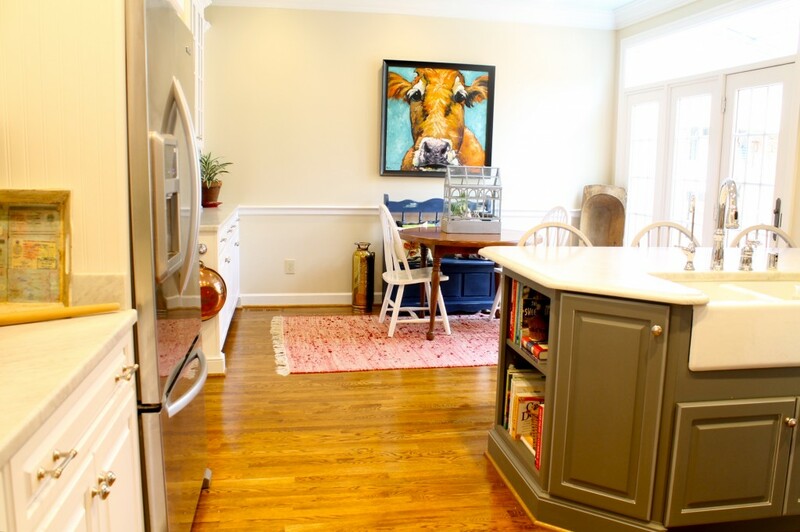 One of the things I love about our kitchen is the adjoining pantry that I also use as my office. You can take a look at it here. My grandfather loved going to antique auctions, and he found this phone for me. 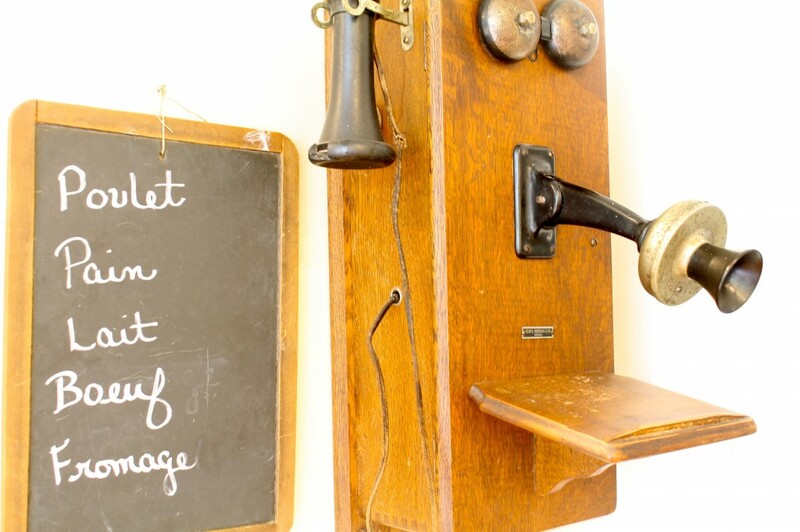 My grandmother used this slate chalkboard when she was in school. I am sure that by now you have noticed Lulubelle. She is the queen of the kitchen, and she is another thing that will always be in here. She has a perfect view of everything that goes on, and everyone loves her. 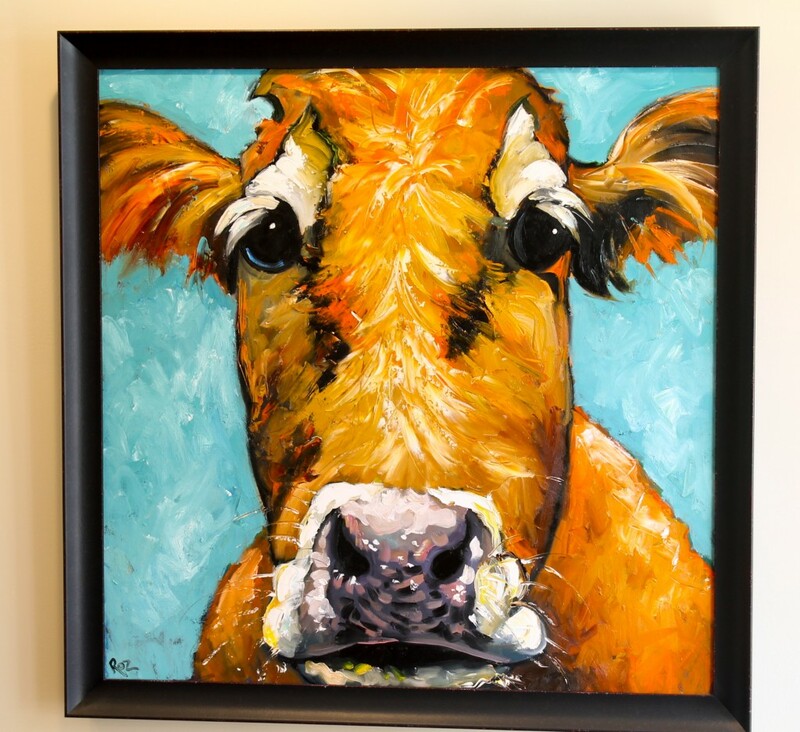 She is an oil painting that measures 36" by 36". Our kitchen table centerpiece changes frequently also. I like to keep it seasonal. 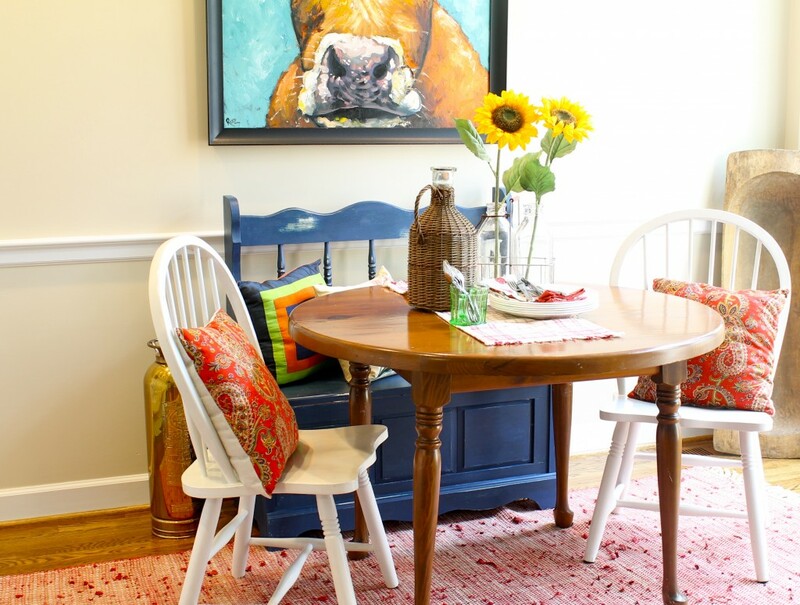 Both the table and the blue bench, which I recently painted, were among the first pieces of furniture my husband and I bought as newlyweds. I am always changing out the pillows on the bench and chairs. My brother bought that brass fire extinguisher behind the chair for $1.50 at an auction years ago. I talked him into letting me have it, and he has always regretted giving it up. The French doors in the kitchen open up into our sunroom. Well, we are back to where we started. I hope you enjoyed the look around. Jordan and I would love for you to stop by The 2 Seasons for a visit. We publish six days a week and would love for you to become a regular reader. We write about our homes, DIY projects, recipes, travel, budget living, household tips. We recently announced that she and her husband are adopting a baby from Thailand and will post updates as things progress. Thank you so much, Kim, for sharing your wonderful blog with us. Thanks Janette, for sharing your favorite room with us. I still want Lulubelle to come live with me. If y'all don't know Janette of the mother/daughter duo at The 2 Seasons be sure to stop over and look around and say hi. I hope everyone has a wonderful holiday weekend! Hard to believe summer is almost over!! Miss any past favorite rooms? Catch up here. Thank you again, Kim for letting me share my favorite room with your readers. It is no surprise that your kitchen was one of the most viewed links on Kim's party...it is just beautiful!...Love all of the details and your collections, including the Hall teapot collection...I used to have a large collection of them, but downsized it when we moved...and always love seeing that precious Lulubelle...A great feature today Kim of Janette's wonderful kitchen...may you both have a wonderful and safe Holiday weekend! I enjoyed looking at all the interesting decor. Oh so pretty! Great style and I'm heading over to follow! What a lovely room. I adore your special bread box! And your photos are great, I totally understand the lighting & skill set challenge! Thanks for sharing. Very nice! 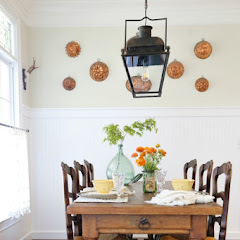 I love the little eating area and the many pretty decorations you have used especially the clock! What a gorgeous kitchen Janette has. Love the Lulubelle pictures. That is my fave in her room. How sweet it that picture. Nice feature today. Love it too! 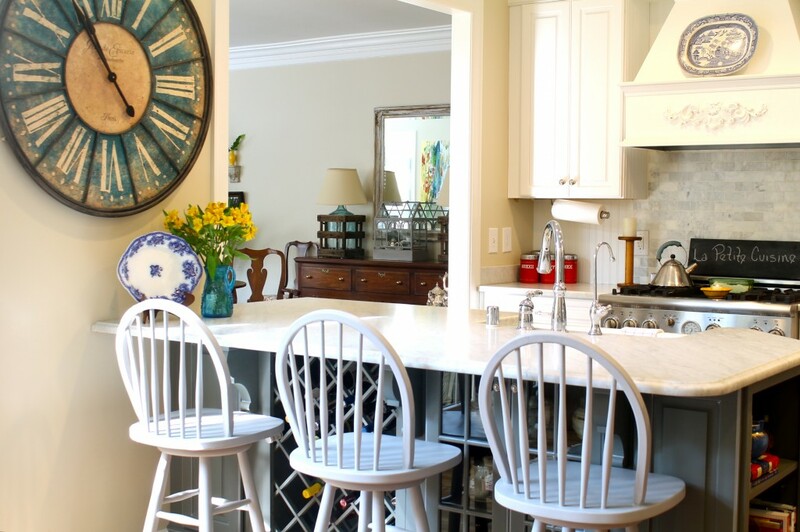 Fun and beautiful kitchen! Thanks for sharing! 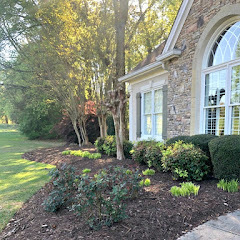 Janette and Jordan, you have created a beautiful home! I love the uniqueness of your style and the pops of color. And of course, your Lulubell is a smile maker! Thank you for sharing! What a great space! I love all the special touches...from family and travels. That's what makes a house a home. Enjoyed! I enjoyed the tour through Janette's kitchen and I must say that my favorite item is the mailbox her mother painted - I love sentimental items. loved the tour around The 2 Seasons' kitchen and the one before with her other half. I loved reading this series as we get to see new ideas and rooms so often. Janette, I love your kitchen. 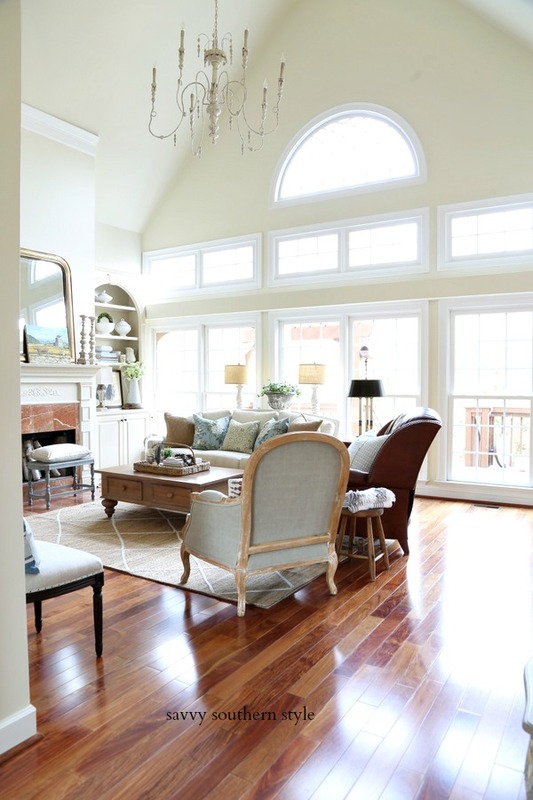 Your story of your home is so interesting. 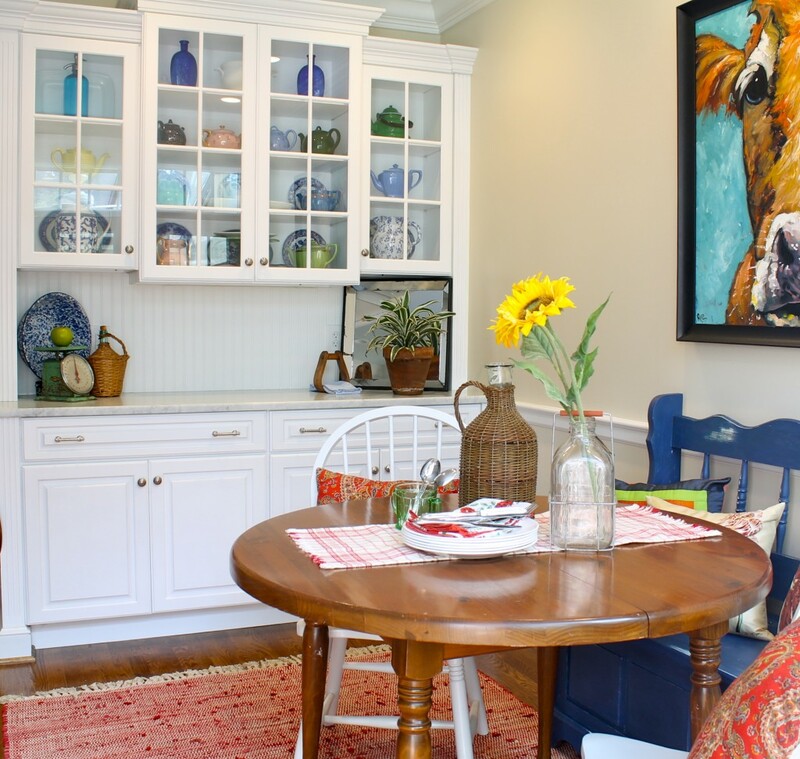 My daughter lived in Lexington for a while, but then she bought her home in Georgetown. I was born and raised in the Eastern part of Ky up around Morehead. Loved seeing Janette's kitchen! I love all of the stories behind all of her pieces. Thanks for sharing! What a gorgeous and welcoming kitchen. Love what you did with that mailbox, I never would have thought of that, beautiful. 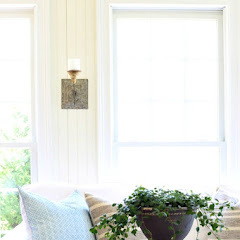 Such great touches and I will be checking this blog our for sure! Thanks Kim for another beauty! 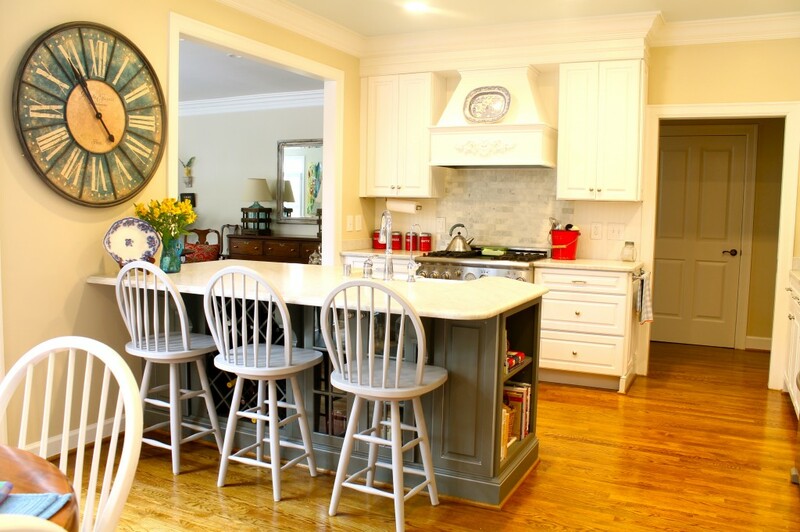 Your kitchen is beautiful, Janette! You have done a fabulous job with decorating everywhere. Lulubelle is definitely making a statement! 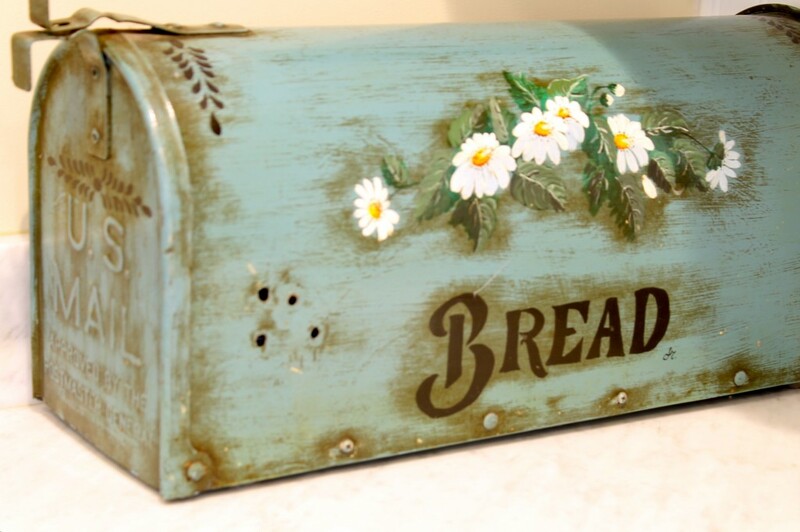 The breadbox(mailbox) your mother painted is so pretty and special!